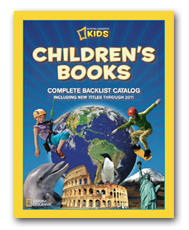 If not, request a catalog to see our complete backlist, including new titles for Fall 2011! Or download a pdf to start browsing instantly. 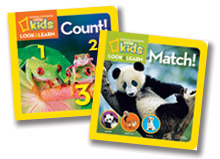 These new 24-page board books are sure to thrill preschoolers and parents alike. With engaging themes, bold photography, and games popularized in National Geographic Little Kids magazine, this fun seres developed with child education experts is an important tool in early concept learning. Learn more about Little Kids Look & Learn. 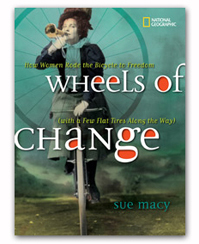 Stop by our booth #1234, for FREE POSTERS and to enter our raffles to WIN A TREK BIKE in celebration of Wheels of Change and WIN A FRAMED PRINT from our gorgeous new book Treasure of Greek Mythology (on sale October 2011). Meet Donna Jo Napoli, author of Treasure of Greek Mythology (on sale October 2011), who will be signing bookplates at ALA on June 25th from noon-1pm in booth #1234. Also signing at ALA: author Jan Annino and illustrator Lisa Desimini (She Sang Promise), and Deborah Heiligman (Celebrate Independence Day). See booth for details.